Hotel Philibert enjoys an elevated position just above the centre of town and enables guests to get to the best bars and restaurants in an easy 5 minute walk. The Super Morzine gondola is about 1 mile away, but you’ll find it easier to take the free resort ski bus which stops very regularly by the hotel, (about 50m away). The ski bus will whisk you down to Le Pleney or Super Morzine ski area within 5 minutes. 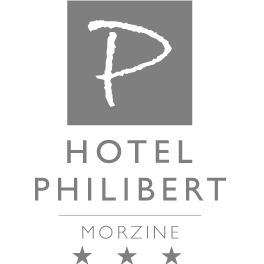 Address: Hotel Philibert: Route des Putheys, 74110, Morzine. Key handover: Your bedroom will be available from 17h00. The keys are to be collected at the reception of the hotel upon presentation of your holiday confirmation invoice or voucher. Autoroutes A 40 et N205. Then follow N205, A40 and D902 to Route de la Manche/D338 in Morzine. Follow D902B, D902 and D338 to Route des Putheys in Morzine. Aéroports: Chambéry / Aix , Lyon Saint Exupéry, Genève-Cointrin. From Genève transfer by bus Aéroski Bus (tél : 00.41.22.717.82.75). For other options contact the Office du Tourisme of Morzine – tél : 04.50.74.72.72).